Maybe you are like me and so easily forget about encouraging the many friends (and family members) who are living abroad as missionaries or doing ministry in their local communities within the U.S. While in Haiti, I enjoyed hearing from Jenna (and others) about ways to encourage and support them--I think that is so so important to do as a Church and community. I am 24 years old and have been in Haiti serving with Children of the Promise for the last year and a half. 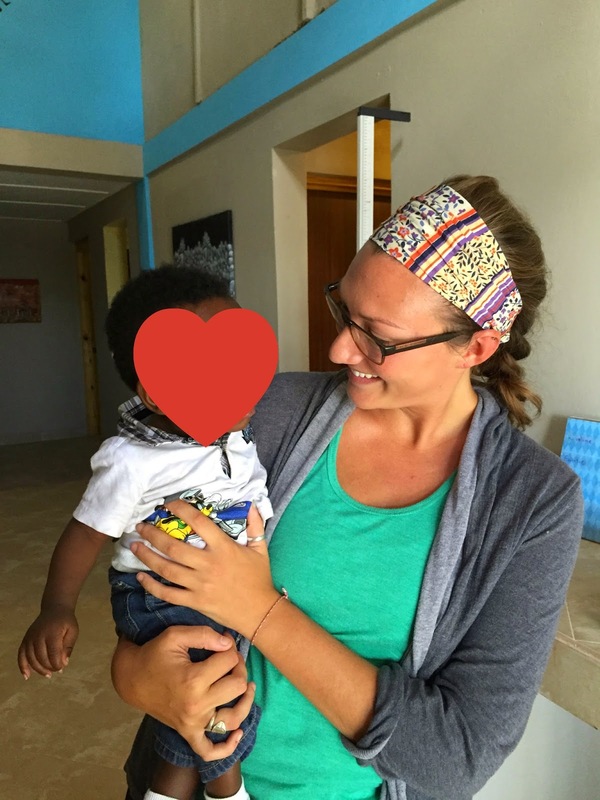 Unlike a few of my missionary friends, I moved to Haiti without a husband or kids. Just me, myself, and two very large bags. I am not short-shooting my friends with families because I know they too have made very large sacrifices, probably more than me. Many gave up careers, houses, cars, and comforts. But the biggest sacrifice of all is relationships. Parents move their kids away from grandparents. Aunts move away from nieces and nephews. Friends move away from friends. Relationships are what we leave behind. Those friendships are what we need when the going gets tough and things feel hopeless--which is a common feeling when being surrounded by poverty, diseases, and desperate people. People sometimes think that being a missionary means saving lives everyday, constantly holding sick or dying babies, converting someone to Christianity daily, or being surrounded by constant discomforts. Yes, maybe missionaries are around those scenarios more than the average 9-5 job, but ask a missionary about their every-day lives and you will be surprised to know how routine their lives feel to them. It is often the weight of these every-day-not-so-life-saving-things can quickly build up to a discouraged heart and make you miss home. 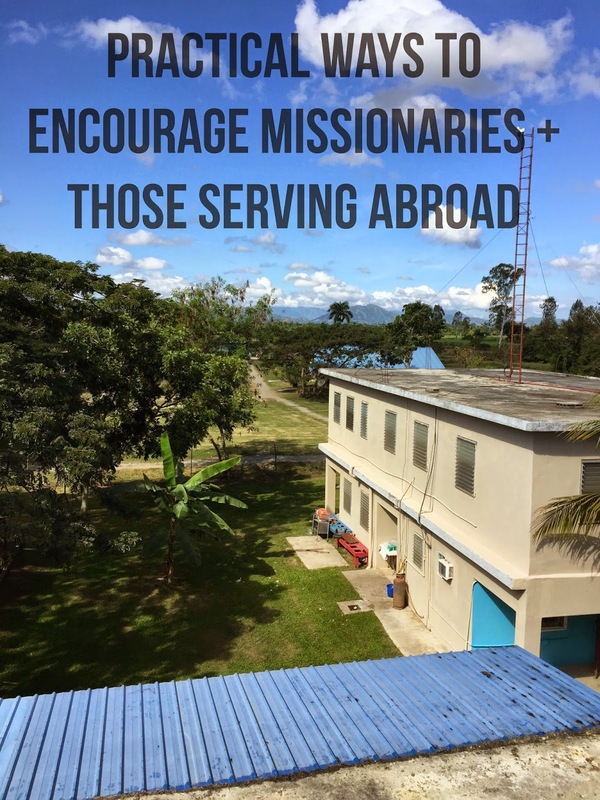 So how can you better encourage missionaries? Support us by continuing to invest in our relationships. Show us you are thinking of and praying for us--that is the most supportive thing you can do and often comes at the most perfect times. Really, the way you encourage your missionary friends shouldn’t look any different than how you encourage your next door neighbor. Know your missionary friend’s love language and if you don’t know it, ask them. After you find it out, show them you love them! It’s often the little things that can discourage us here and often the things we miss most from the States. Things like nice pens, napkins, journals, stationary, candles, snacks, headbands, spices, matching dinnerware, pot holders etc. If you are planning on putting together a care package for a missionary, it’s sometimes the smaller things that remind us most about home. Not sure what we need? Just ask!